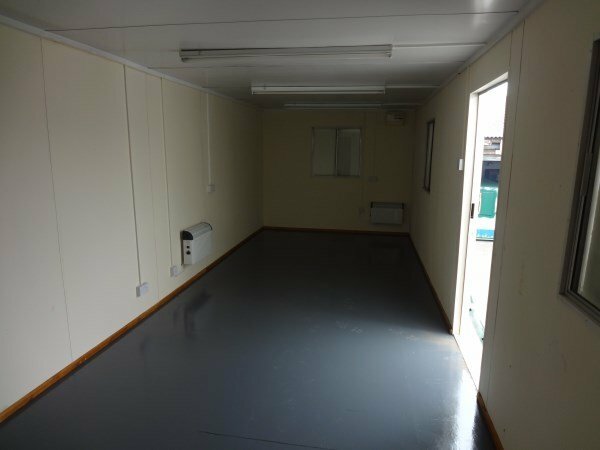 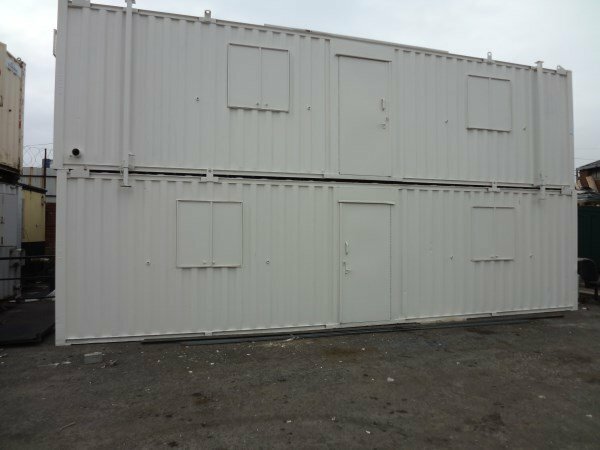 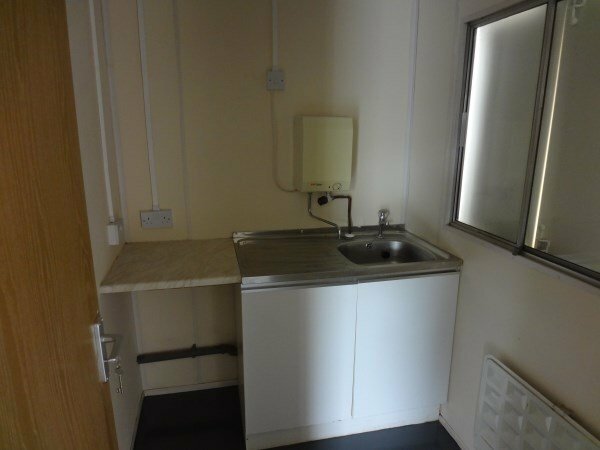 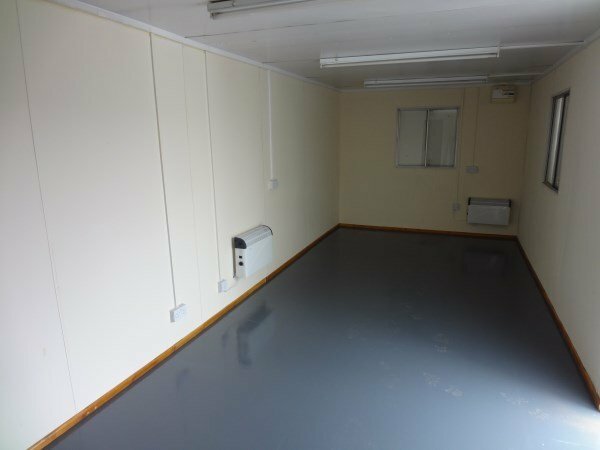 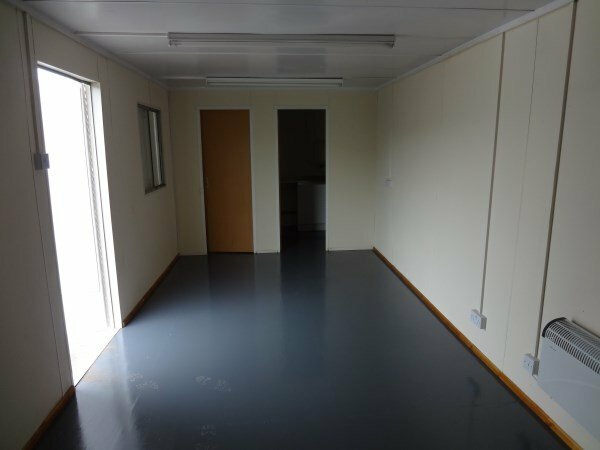 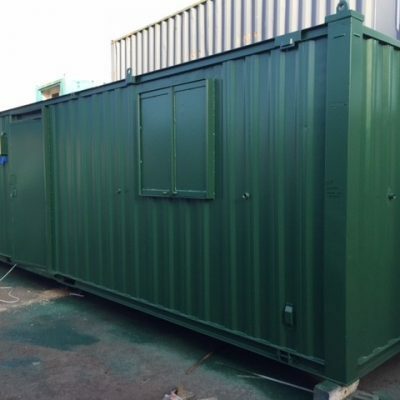 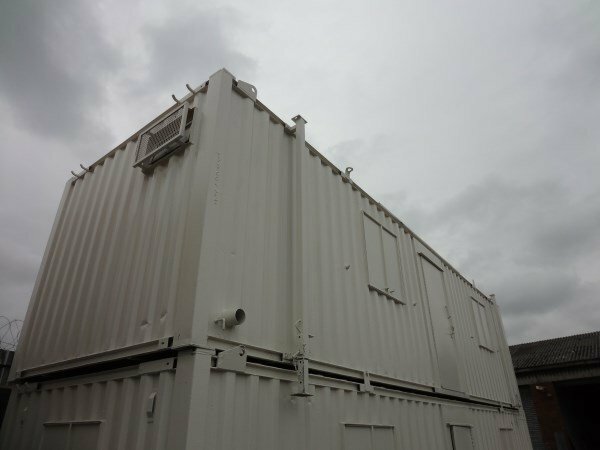 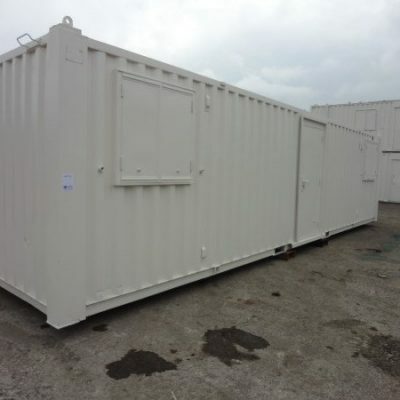 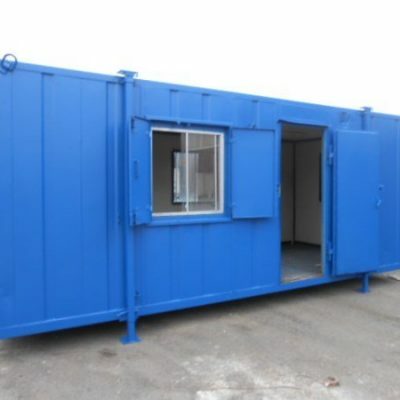 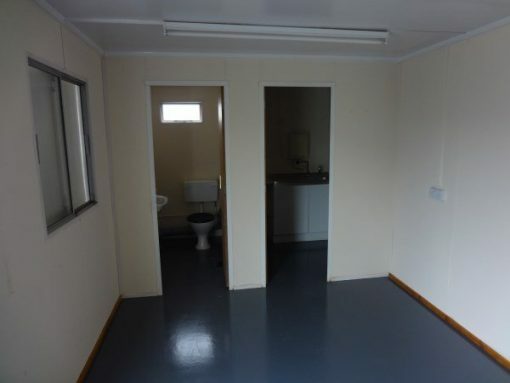 32ft x 9ft corrugated steel Anti Vandal Office Kitchen Toilet. 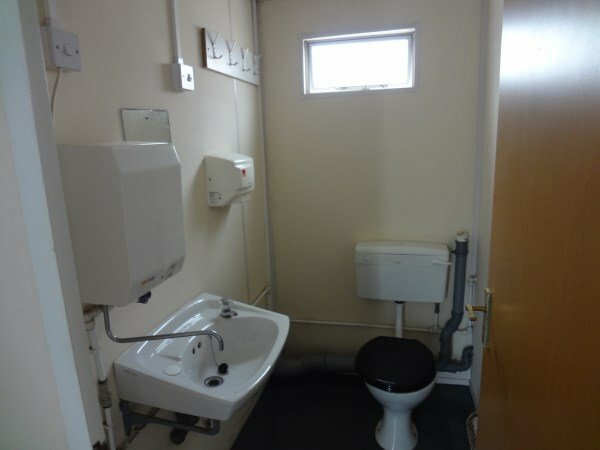 Steel central access door, full lighting, heating, sockets, four alloy windows with steel lockable protective shutters and one toilet window with steel mesh protection guard. 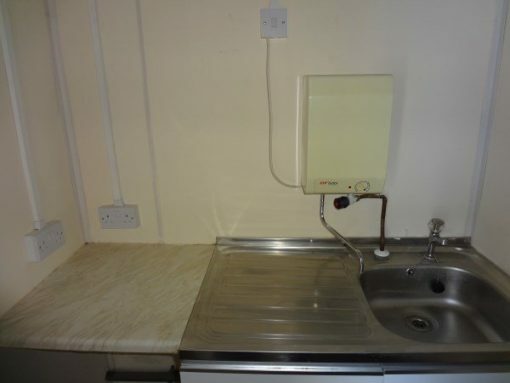 Kitchen with sink, worktop and water boiler. 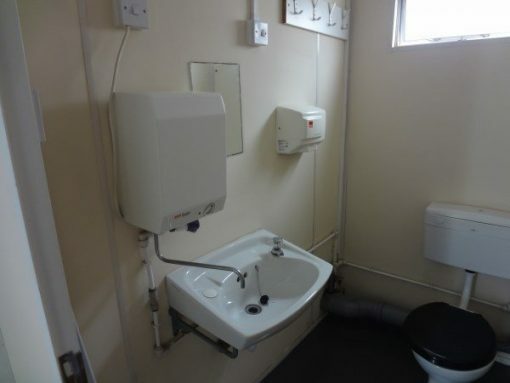 Toilet with wash basin and electric hand wash.